When you think of Japan, what adjective (should) most readily come to mind these days? If you answered anything except 'cute' you're obviously not in the loop. Here in Japan where the government does things like hire 3 young girls to head overseas and act as 'cute ambassadors', it goes without saying that cute is everywhere. 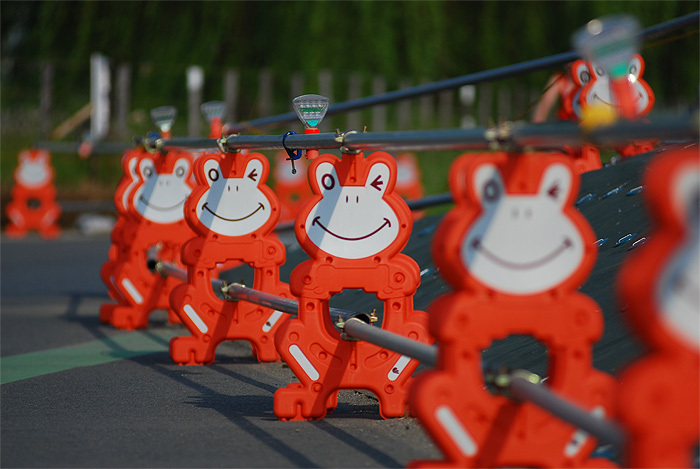 For example why use regular old orange pylons when you can have winking frogs instead? Play to your strengths I suppose.